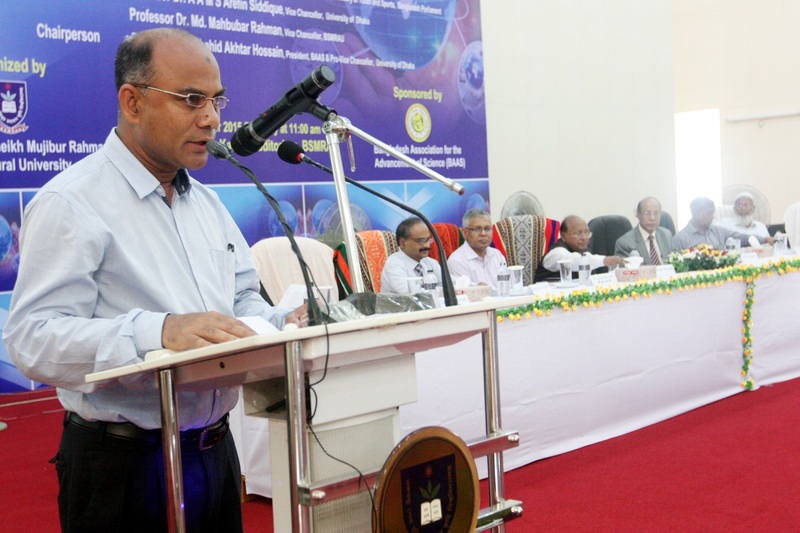 Mr. Tofail Ahmed MP, Minister, Ministry of Commerce inaugurated the 23rd Bangladesh Science Conference which was held (17-18 Oct’15) at 09-00 am at the Begum Sufia Kamal Auditorium of Bangabandhu Sheikh Mujibur Rahman Agricultural University (BSMRAU), Gazipur. He was present as the chief guest. The main theme of the conference was ‘science and technology for national development’. In his speech the Minister said, due to extensive development in the field of environment and allied technologies our Prime Minister was honoured with the prestigious ‘Champion of the Earth’ and ICT award. He also stated that, Bangladesh under the dynamic leadership of our Prime Minister has earned a respective position in international leadership which has made us an exemplary role model. Vice-Chancellor of this University Prof. Dr. Md. 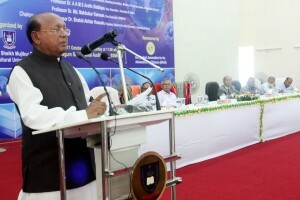 Mahbubar Rahman was present as the special guest. 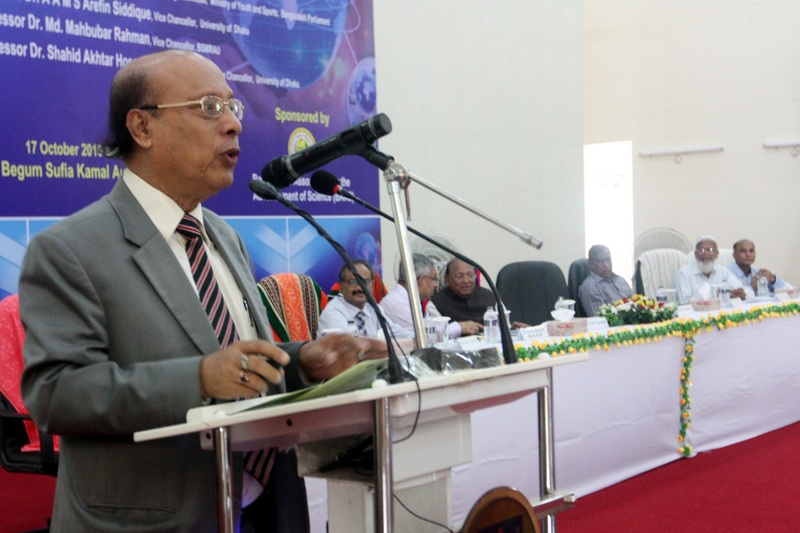 Dr. A. K. Azad Chowdhury Emeritus professor, Dhaka University was present as a key note speaker. 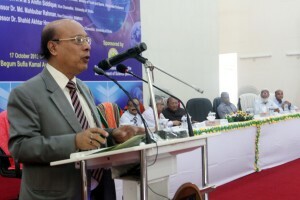 Prof. Dr. Shahid Akhtar Hossain, President, Bangladesh Association for the Advancement of Science (BAAS) and Pro-Vice-Chancellor of Dhaka University presided over the ceremony while addressed among others, Dr. Md. Shahidul Islam. General Secretary, BAAS, Prof. Dr. Md. 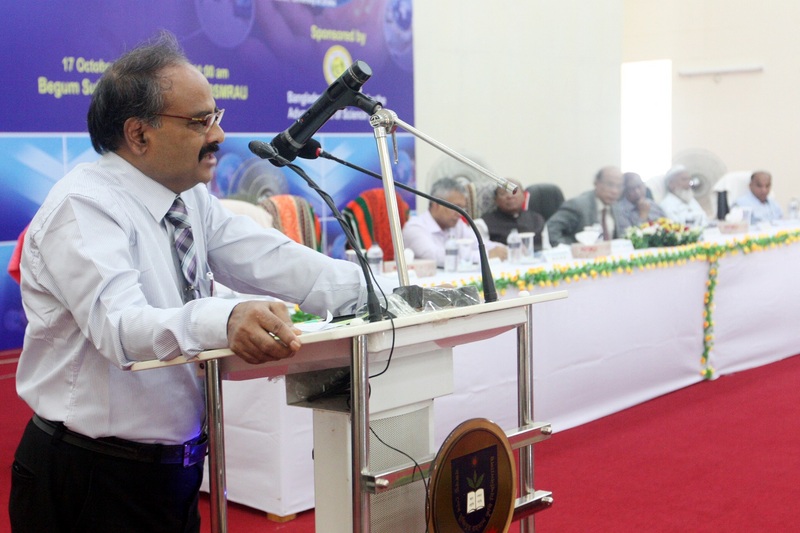 Ismail Hossain Mian, Chairman, Organizing committee and Treasurer, BSMRAU and Prof. Dr. M. Kamruzzaman, Member Secretary, Organizing committee. More than 700 scientists from different universities and research organizations were present as participants.